MADISON, WI—The Department of Spanish & Portuguese at the University of Wisconsin-Madison is pleased to announce the premiere of Perla de la Rosas’s Antígona: las voces que incendian el desierto. 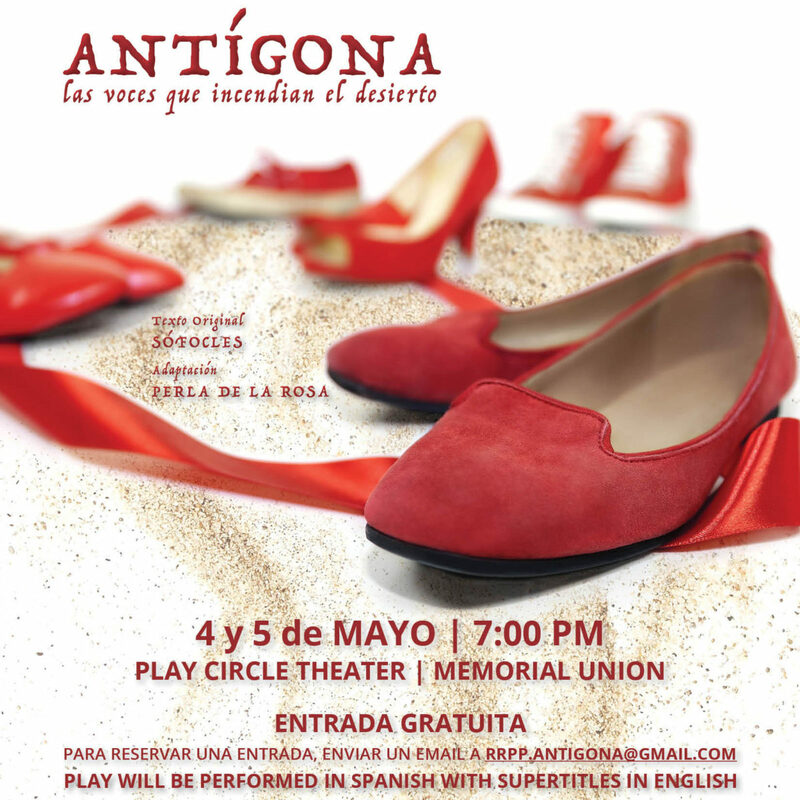 De la Rosa’s Antígona: las voces que incendian el desierto (2004) [Antigone: The Voices that Burn in the Desert] is an adaptation of Sophocles’ Antigone that highlights the serial murders of women in Ciudad Juárez, Mexico. 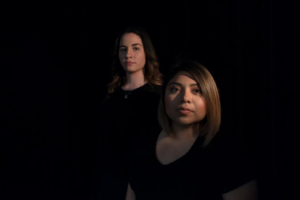 With a play where Thebes is Ciudad Juárez and Polynices is a missing woman, de la Rosas’s Antigone engages the original Greek classic ultimately transforming it into a powerful contemporary story that subverts gender, space and time. In keeping with Brechtian aesthetics, de la Rosas’s Antigone denies the spectator the possibility of cathartic redemption, demanding, instead, that we become critical and active agents in the fight against femicide. Since 1993 the corpses of hundreds of women have been found discarded and trashed in and around Ciudad Juárez, the border city in the Mexican state of Chihuahua that has become notorious in recent years for its violence. An alarming high percentage of these bodies shows signs of sexual assault, torture, and mutilation. As of 2004, when Antígona debuted, over 400 such corpses had been discovered. However, the statistics of numerous non-governmental organizations calculate that at least as many women remain missing in Juárez, with some estimates ranging as high as several thousands. These serial rapes and murders have commonly been referred to as el feminicidio (the femicide) not only for the scale of the violence but also for the impunity with which these crimes have been committed; as of 2004 there had been only one conviction for one count of murder in connection with these cases. The play will be performed in Spanish with supertitles in English. For visually impaired patrons, large print playbills are available with at least one week’s advance notice.